Chad Taylor and Rob Mazurek are musicians of considerable talent and acclaim who have created a musical experience that is as challenging as it is rewarding. 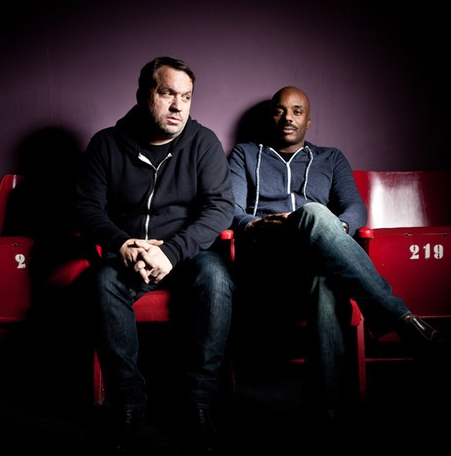 The two comprise the Chicago Underground Duo, and have performed together in several iterations: Chicago Underground Duo, Chicago Underground Trio, Chicago Underground Quartet, and Chicago Underground Orchestra. Chicago Underground Duo arose as part of the new era of improvisational musicians in early 1990s Chicago. They have drawn much fanfare for their mesmerizing live performances and tour extensively in support of each release. 2012 will be a milestone for the Chicago Underground Duo, marking their 15th year together as a band. In celebration of this momentous occasion they have released a new record, Age of Energy, on a brand new label, Northern Spy. Age of Energy is Chad and Rob’s sixth release as Chicago Underground Duo and the eleventh release in the Chicago Underground catalog. The solo project of drummer Ryan Sawyer. A native of San Antonio, TX; he has been leading a balanced life between composed and improvised performance. He has supported and collaborated with such diverse names as Rhys Chatham, Charles Gayle, Tv on the Radio, Boredoms, Thurston Moore, Nik Zinner, Kid Millions, Fiery Furnaces, Trevor Dunn, Gang Gang Dance, Mekons, and Scarlet Johansson. While his work with formal bands have been a linchpin to Sawyer’s integration of musical ideas which include: Stars Like Fleas, Tall Firs, Glass Rock, Family Dynamics, and Eye Contact.